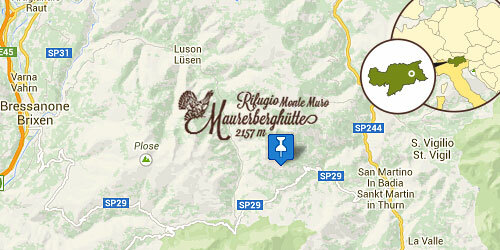 Here you can experience pure nature: mountains, forests, horizon and sky. 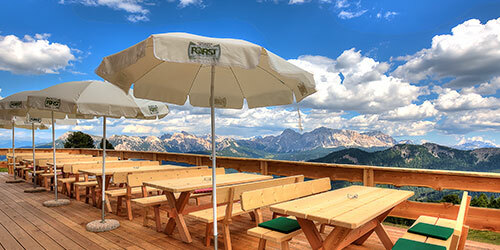 A paradise with a stunning view of the north faces of the Geisler peaks and Sass Putia peak. It is the ideal place to relax and regenerate. 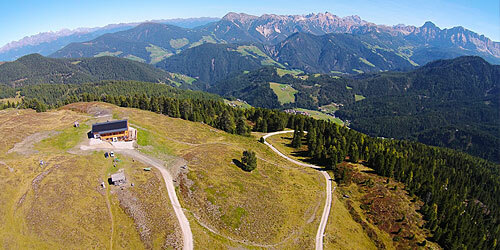 The alpine hut is perfectly suited after a daily walk, a hike or a mountain bike tour. Overnight accommodation is also possible. 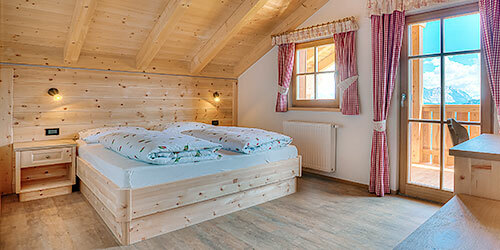 During the renovation, the emphasis was put on the details and in particular on the traditional Tyrolean-style interiors. 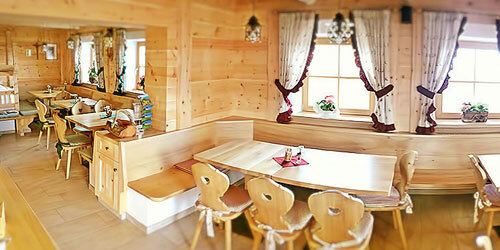 Great importance was given to the use of natural materials and solid wood furniture made of spruce. New rooms, fresh mountain air and a natural surrounding with mountain views allow you a deep and undisturbed sleep and a good mood in the morning. A unique holiday destination for exciting days in the Alps. Bon vivants sit in the sun and glance dreamily at the mountains. On the sunny terrace you can enjoy homemade cakes and delicious desserts with coffee and tea while the children can have fun on the lawn. Come and judge by yourself. from June to the end of October. 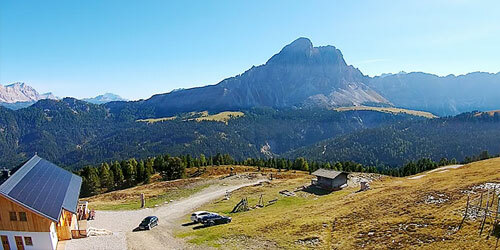 A pick-up service at the car park at Passo delle Erbe is possible for those who cannot walk to the hut.